Dan Shannon was a natural fielder, not a natural pitcher. So, when the Spartanburg Phillies' bullpen got overworked, the team turned to the outfielder Shannon. In July 1990, they turned to him two nights in a row. "It didn't bother us at all that they pitched Shannon against us," Savannah Cardinals shortstop Jim Ferguson told The Spartanburg Herald-Journal after that 9-1 Savannah win. "That's a great part of the game, that he can come in and do that. He used to be in the Cardinal organization, so it was fun to see him out there." Shannon's pitching career ended up being a brief one, adding two other outings that 1990 campaign. His fielding career was almost as brief, playing in just three seasons, failing to get above single-A. Shannon's professional career began in 1988, signed by the Cardinals as an undrafted free agent. He started with the Cardinals at rookie Johnson City. There, Shannon hit .289 in 47 games. He also hit three home runs and knocked in 22. For 1989, Shannon moved to short-season Hamilton, his average dropping to .220 over 50 contests. He knocked in just 15, but stole 12 bases. It was his final year with the Cardinal system. Shannon signed with the Phillies for 1990, playing the year at single-A Spartanburg. There, over 58 games, Shannon hit just .156. His pitching wasn't good either. Over four outings, 3.1 innings of work, Shannon gave up eight earned runs. 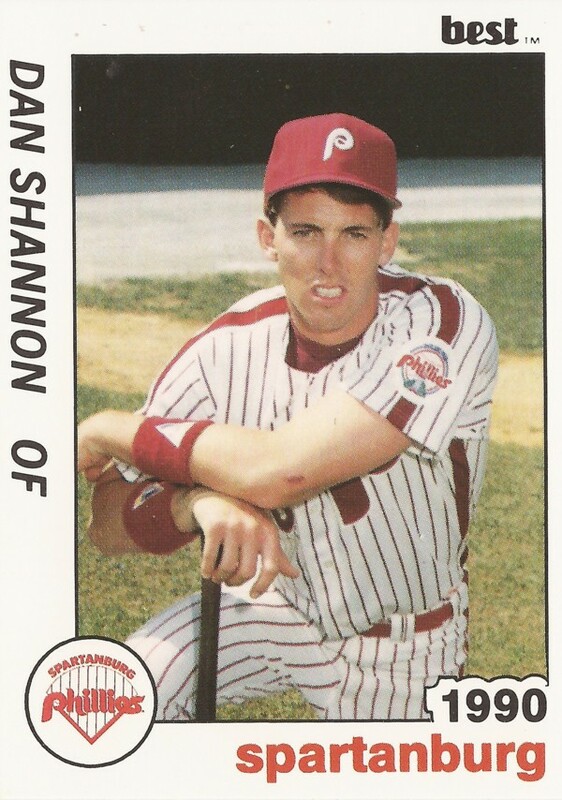 Shannon's season with Spartanburg was his last as a pro, released outright by the Phillies at season's end.